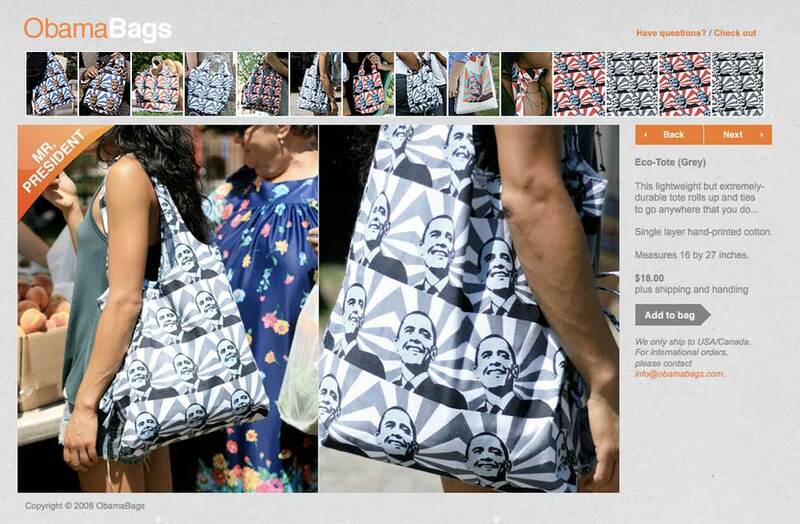 Daniel Won and his design partner created Obama Bags E-Commerce site using Paypal API for client Fair Winds Trading Inc.
3. Connected the front-end html to MySQL database through php. 4. Added Paypal API for an easy checkout. Site was launched on October 2008, and has been maintained by the client after the launch date.